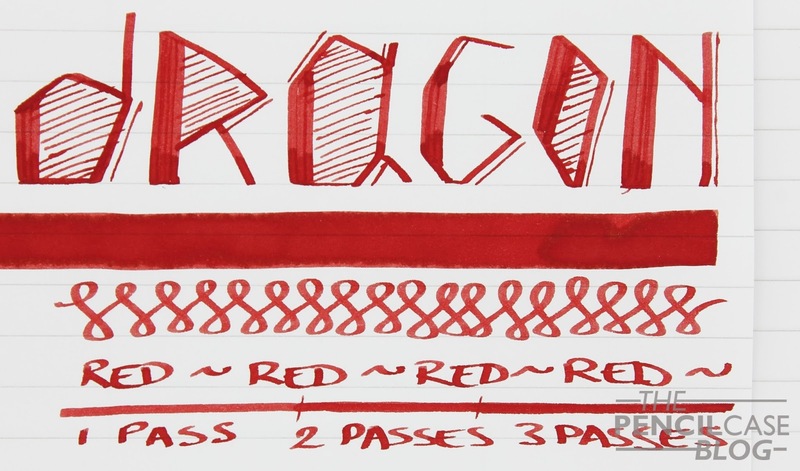 This week we're taking a look at red inks. 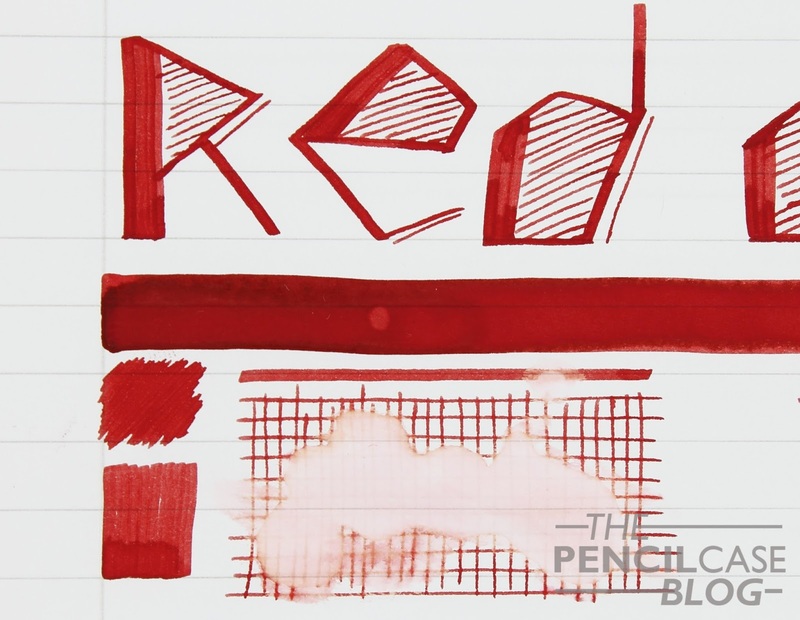 I didn't have much red ink until a year or so ago, when I bought Montblanc Corn Poppy red. That was the one that started it all. Red inks vary quite strongly, depending on what you're looking for, you can end up with a blindingly bright red (the brightest I have is P.W. Akkerman Chinatown Red), or a very subdued, almost brown red like Sailor Jentle Oku-Yama. I tend to lean more towards the darker shades myself. I like the more versatile usability, as opposed to the bright inks that are more suitable for grading papers or marking text. This weeks' ink, Diamine Red Dragon is one of my favourites because it sits somewhat in between the two categories. It's definitely a red, compared to Diamine Oxblood for example, that is much closer to brown when it dries. But at the same time it's not as vivid and saturated as Montblanc Corn Poppy. It's not an in-your-face red, but it's not too unsaturated either. Something I haven't been able to put my finger on, is the fact that -and this might sound strange- it looks somewhat like blood. But not like the dried blood effect of Oxblood, more like fresh blood (that probably makes me sound like some kind of crazy ink-drinking vampire). It's really difficult to describe, but the base color really reminds me of blood...I could also just be crazy. Strangely enough, it doesn't really show a lot of shading, and basically no sheen, unlike some other reds that do both quite well. I usually like inks based on the amount of shading and sheen they have, but in this case I just appreciate the color on itself. I use it quite a lot for writing down important stuff in notes, or for marking. It's just vibrant enough to make it stand out,without looking gaudy. As far as performance goes, Diamine inks in general are quite good. It's not overly wet, but not dry either (unlike Diamine Autumn oak, which is the only Diamine ink I can think of that's actually dry). 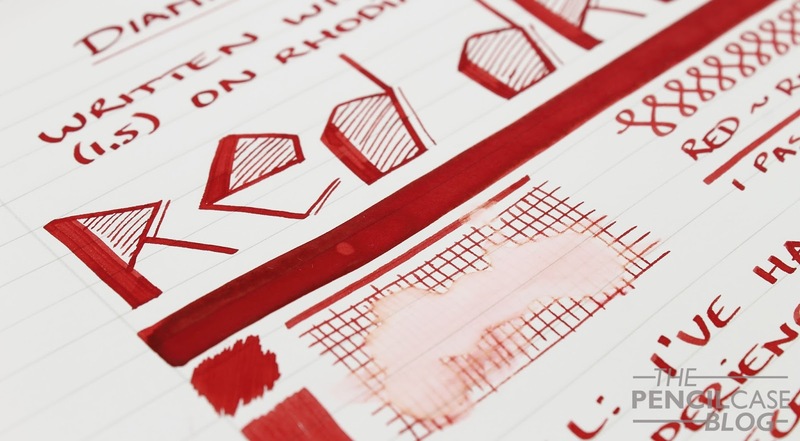 It doesn't bleed at all, and it doesn't feather either (unless you start putting it down with a brush or a very wet dip pen, but that's not really representative of how it usually behaves). 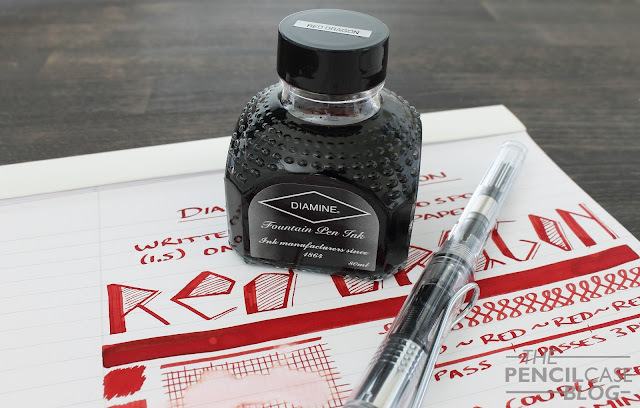 As I said in the beginning of this review, part of why I like Diamine is becuase they are so affordable. Here in Europe, the 80ml bottles go for 7.75 EUR, the smaller 30ml bottles are about half that. In the US they are quite a bit more expensive, about 15 USD per bottle, so shopping across the pond might be something to consider (especially because non-EU customers don't pay VAT, and you can always get an extra 10% off from our sponsors with the provided codes!). Note: La Couronne Du Comte is a sponsor of this blog, I received a discount on this purchase, so I could write this review. I was in no way influenced in the making of this review, the opinions shared here are completely my own! This review does not contain any affilate links. Nice review! 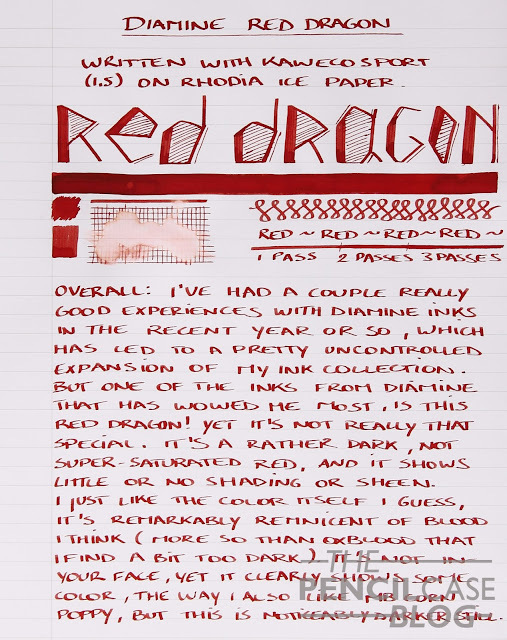 Red Dragon is one of my favourite reds as well and I totally agree with your comparisons to blood, even though it sounds freaky.